Nova Settings: Nova Settings > Folders > Folder Preview > Grid. Hit the back button and go to Background and select the dark grey color (ff263238). Now go to App & Widget drawers > Background and set it to dark grey. Change the font colors in Desktop and Folders to white. Nova settings: Go to Nova settings > Desktop > Desktop grid > Set it to 4 * 4. App & Widget Drawer > Turn on Swipe up to open and disable Swipe indicator. Look & Feel > Notification bar > Turn off show notification bar to make the notification bar transparent. Desktop > Icon layout > Set the icon size to 110%. 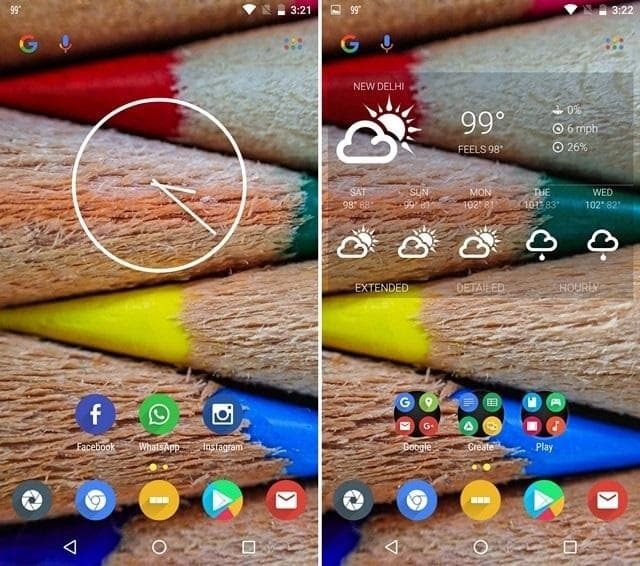 After testing the Nova version 5 was finally pushed away and a new combination has come up which may say is a Nova launcher, if you are actually in search of something that is fresh and unique then I guess this is the best option for you. Nova Settings – Nova settings > Desktop > Search bar style, bar style# 4. 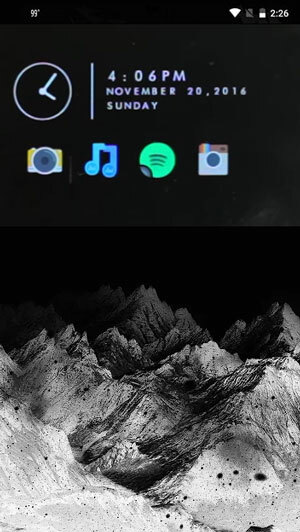 Folders > Folder background > Pixel launcher. 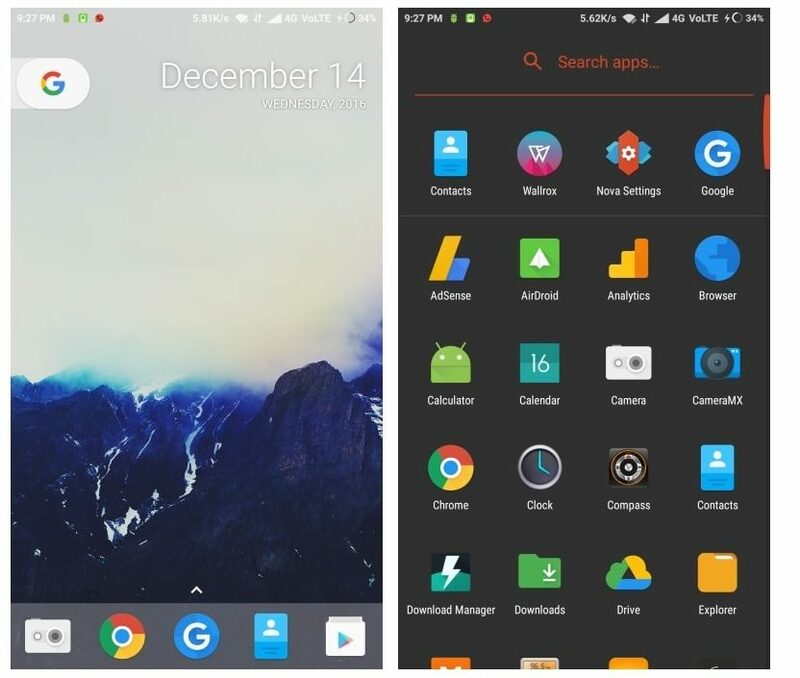 Well this Nova launcher theme has a modern interface, and the icons are minimal on the desktop screen. This has a look like of your smartphone screen, where the icons are small in size. 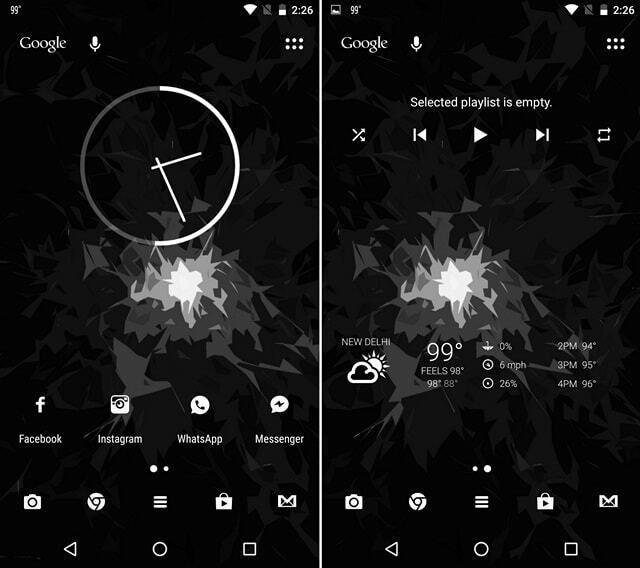 The best thing about this theme is that it can work for both the Nova as well as the go and Apex. Nova settings: Go to App & Widget Drawer > Enable Card background and select the background 75 percent transparent. This is a very vibrant theme with soothing colors and a youthful look and feel. Popular among youngsters this theme is surely here to stay. Nova Settings: Wallpaper Scrolling (Off) ,Desktop > Scroll Effects > Zoom fade. 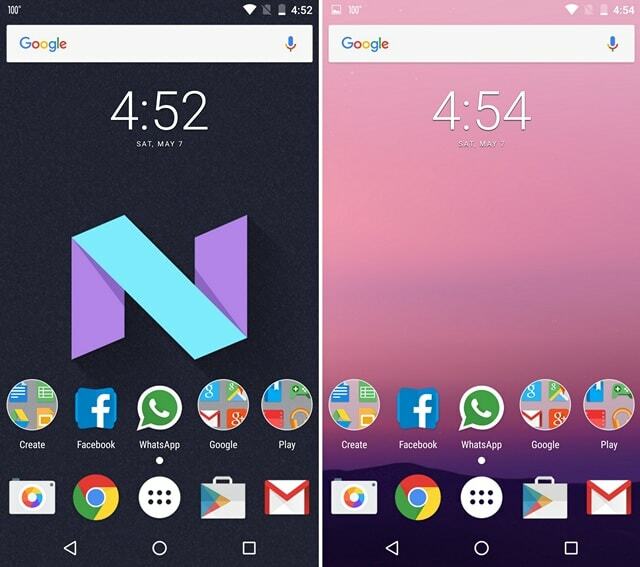 While there are other ways to get the Android N look on any Android device, you can do so via our Android N Nova launcher theme too. A very sleek and a classy theme which gives a very stylish feel to the entire user experience. Nova Settings: The icon Size Desktop & Dock (140%) and it has a simple Scroll Effect and absolutely none Wallpaper Scrolling, Folder Preview (Grid), the constant bar to be switched on and choose the Bar style #1 and logo style #1. Even though bright colors make a mobile look vibrant but dark themes too have their own aura and charm. The dark theme is for all the black color lovers and people who like a professional feel during their mobile experience. 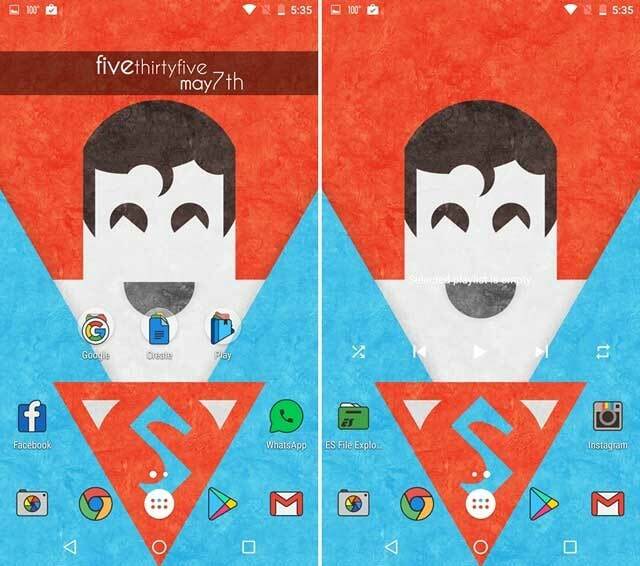 A very popular Nova launcher theme with an excellent user value. Nova Settings: Constant Search Bar to be switched on, Search Bar (Bar Style#3 and the Logo Style #4), Night mode (only). Nova Settings: Nova settings > Desktop > Wallpaper scrolling(Off), Look & feel > disable Show notification bar, App & Widget drawer > background > transparency 100%. The Minimal theme is aimed at people who like to keep things simple and clean. The theme brings all of that and looks beautiful too. 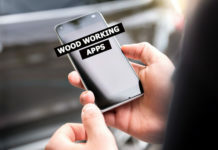 With a very soothing look and feel and user-friendly customizations, this too is one the most popular themes doing the round in the market. Nova Settings: Desktop > Search Bar Style > choose the bar style #1 and the logo style #2. 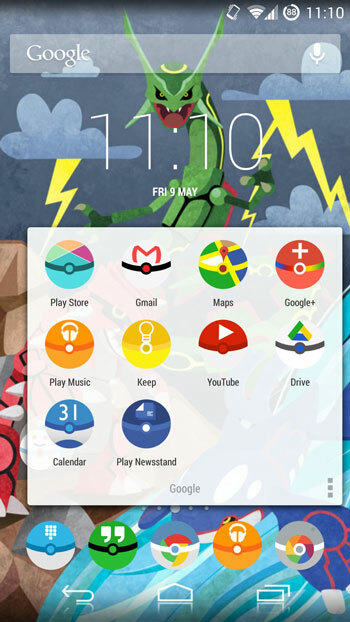 Everyone is a Pokémon fan and with the game been many people’ obsession lately this theme becomes one of the most popular Nova launcher theme. The theme consists of minimalist wallpaper and monster ball icons with is taken from the Google Play store. 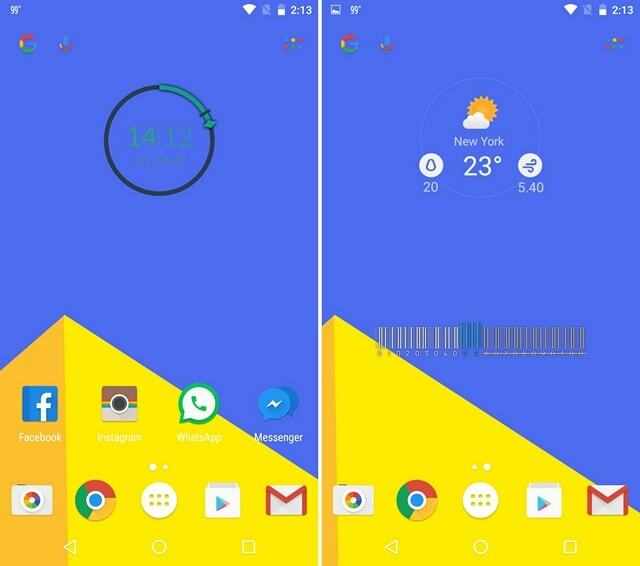 Like bright colors splashed all across your Android home screen? 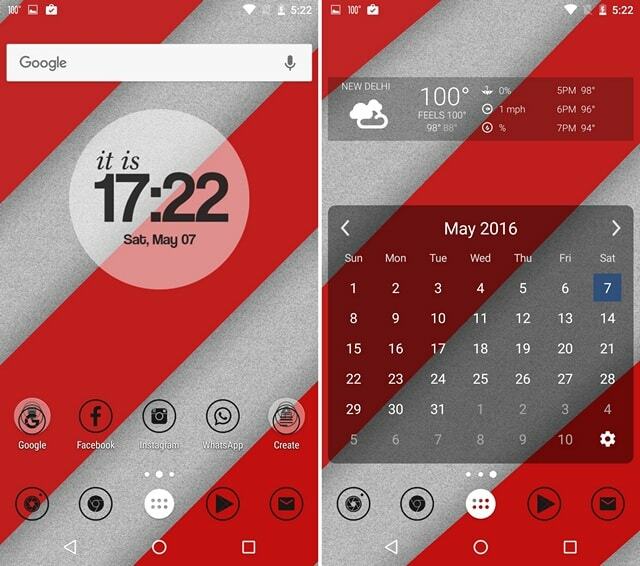 If yes, the Colorful theme should surely make sure that your device’s display looks beautiful. 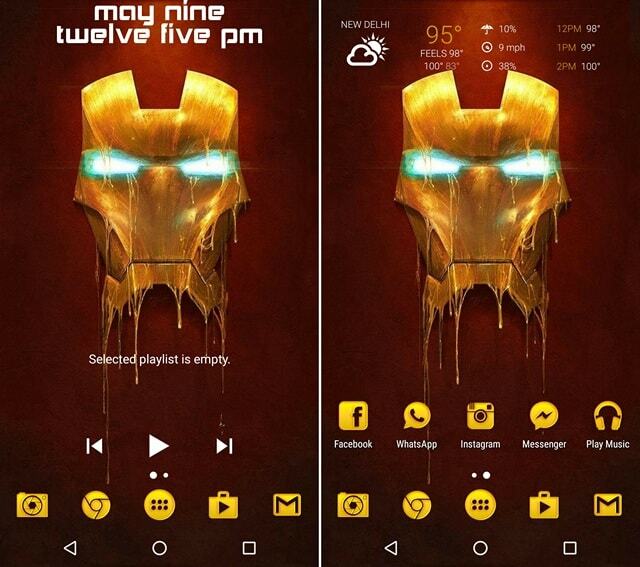 Nova Settings: The icon and desktop size is about 120 percent, the search bars is switched on and choose the bar style #2, Select (yellow) as the page indicator color and circular folder background. 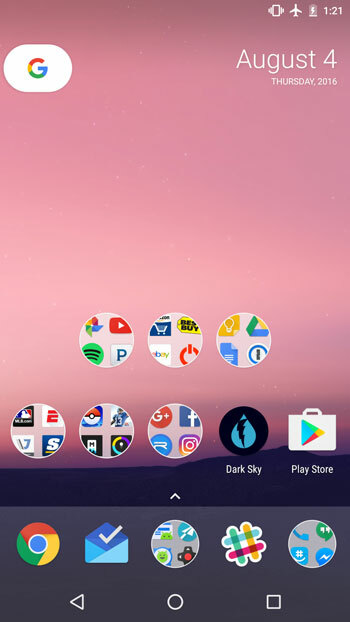 The unique selling point of this theme is its unique icons and vibrant wallpapers. 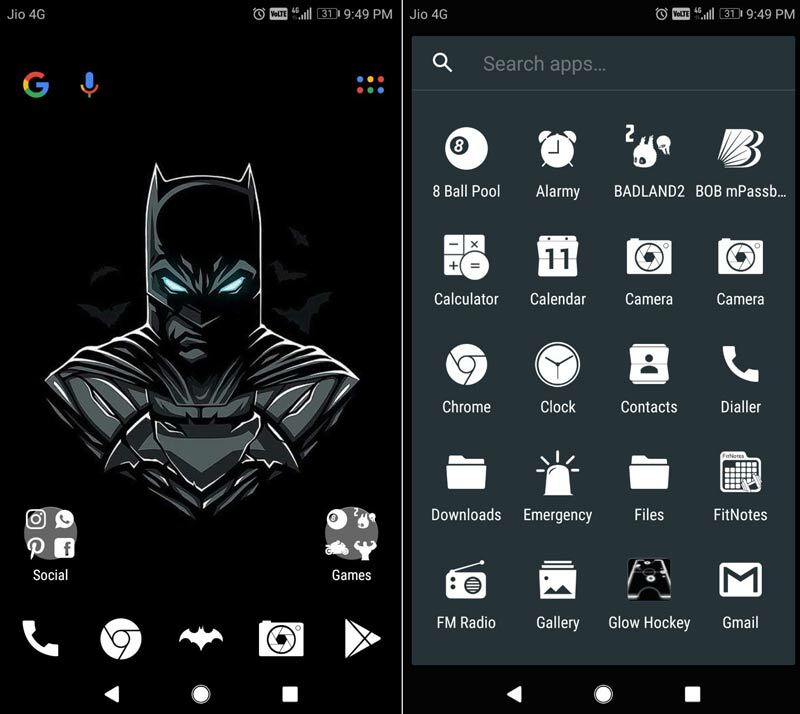 With a wide array of authentic and multi-dimensional icons to choose from this is a must have theme for all the android. Nova Settings: About 120 percent of icon size and desktop size, search bar#2 bar style, the desktop grid is about (4 X 4). Yes, Nova Launcher may be the best thing that ever happened to Android. Endless customization (without fiddling or flashing anything) is important to plenty of us. 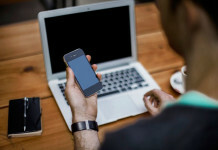 Android has the reputation of allowing anyone to do just about anything to the way their phone looks and how it performs the basics and Nova Launcher give both the experienced and the veterans among us an easy way to do all of it.